On the 3rd day in Montreal, our goal was to explore Old Montreal. 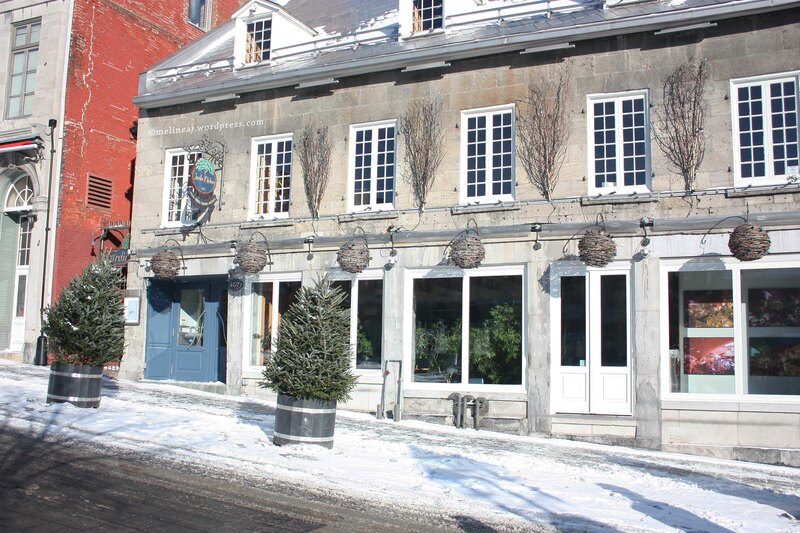 Old Montreal is the area where the early settlers came and built their residences. There are a lots of historic attractions around here, for official tourism brochure, click here. We took the Metro (subway) and stopped at Champ-de-Mars station. 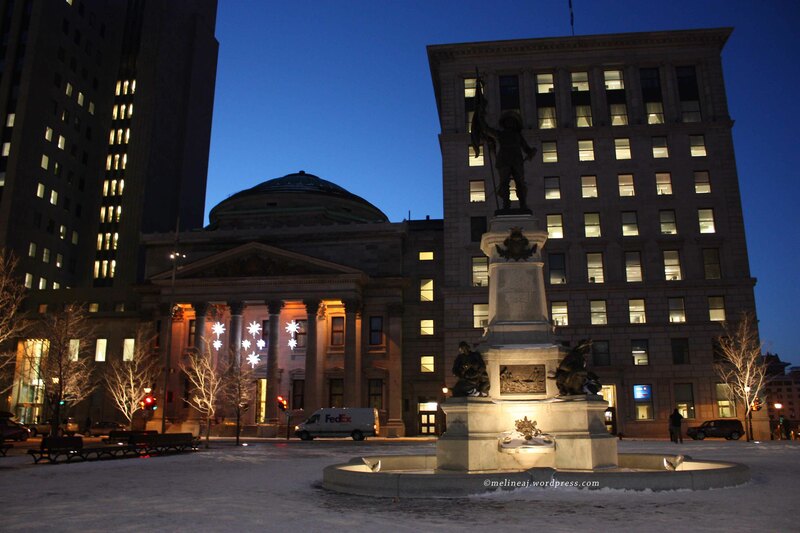 Outside the station, stands Montreal City Hall and Court Buildings. At the back of the city hall, there is Place Jacques-Cartier. During our visit, the strip filled with Christmas trees was all white – covered with snow. Around this area, there are a lot of restaurants and tourist shops where you can find souvenirs. We got there by around 9 am and the stores were still closed. 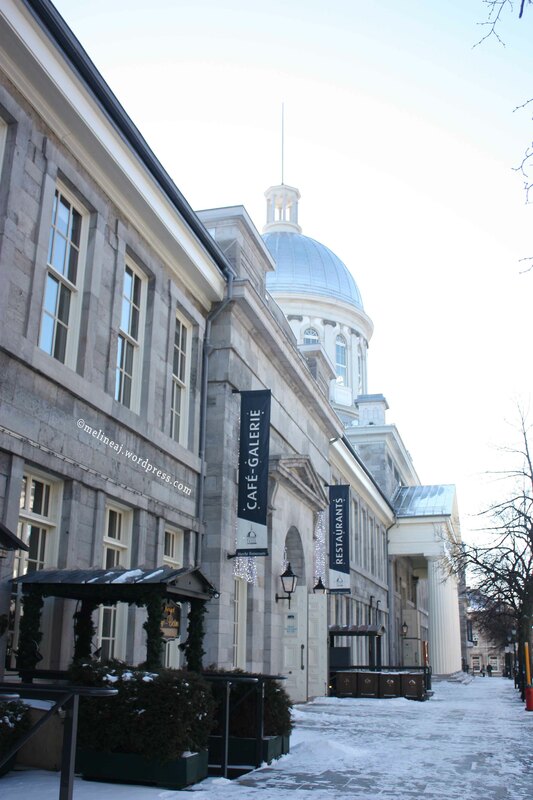 Continuing, we walked along Rue Saint Paul to find Marche Bonsecours, a heritage building with art boutiques and cafes inside. 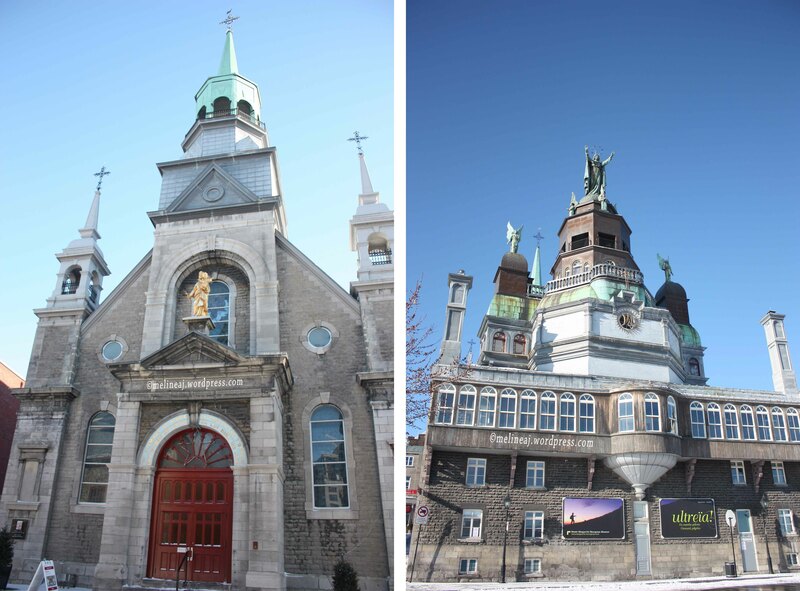 The next block was Marguerite-Bourgeoys Museum inside the Notre-Dame-de-Bon-Secours Chapel. This church was built above the remains of the first stone church built by the first settlers. The church was smaller than Marie Reine du Monde Cathedral in downtown, yet the interior of the church was very beautiful. While we were walking toward Pointe-a-Calliere, we saw some people munched mapple taffies! Since our visit in Quebec City several days ago, my fiance went crazy about mapple taffy. So, we followed the road where that people came from and we found Canadian Maple Delight. We were all super excited! From the front, it looked like a normal store. On the front sign, they said that they also have Mapple Museum at the basement. When we entered the store, we immediately smelt the delicious mapple aroma. Nyum….. This store had an ice cream & gelato counter with various flavors which would be perfect for summer! In the next room, they had a display case filled with various mapple products: mapple syrup with different darkness levels, mapple flakes, mapple caramel, cookies, fudge, candies, jelly, spread, and the precious jar of MAPPLE TAFFY! YAY! The store manager – or maybe the owner – came to us who was wondering around and looking confused. He was very nice and friendly. He let us to do some tastings of different darkness levels of mapple syrups and other mapple products they sold. He even gave us three complimentary mapple taffy sticks which later we bought 2 more since we couldn’t get enough of the gooey goodness 🙂 The most interesting thing that we tasted was Mapple Caviar. No, it wasn’t caviar covered with mapple syrup. The caviars were similar to pearl in bubble tea that bursts when you chew it (or if you are a frozen yogurt fan, you must now mango burst – a little ball that bursts with mango flavor when you chew it). It would be fun to eat them with ice cream or pancake but we didn’t buy it since it was pretty expensive. Later we found out that the store has a branch in Vancouver, PERFECT! We can go every time we need more jars of mapple taffy hahahaha… The manager said that we can order the products online and they will deliver them throughout Canada. The ooey gooey goodness of mapple taffy! We then went to the lower level to the mini museum. It has some displays of mapple sapping equipments. It also has several posters explaining the techniques to collect the syrup from the trees, the processing techniques, and other related information. They also have a video showing the process if you’re interested. It was a fun experience for us. To overcome the sugar rush in our system, we walked along Rue de la Commune. At one of the piers, there is Montreal Science Centre. Farther along, there is Pointe-à-Callière, Montréal Museum of Archaeology and History. We enjoyed our visit to the archaeology museum. When we were there, they have an exhibit about India and its culture at the upper level. On the lower level, the permanent exhibits showcased the Montreal relics and the replica of Montreal in earlier days. They even still preserve the foundation of the first building ever built in Montreal! The coolest thing is the 3 big screens theatre at the front. Again, the video and light show told the story about Montreal history. We spent quite some time in the museum since I love everything about archaeology and history. When we exited the gift shop, we were on Rue Saint Paul. This street is famous with lots of restaurants, such as Chuch Hughes’ Le Bremner and the famous Olive & Gourmando. We really wanted to eat at Olive & Gourmando, but it was closed 😦 So, we ate at Marche de la Villette across the street. We definitely had no idea what we should order, so we relied on our server’s recommendation. He suggested a cheese plater and a meat platter. The cheese platter had different types of cheeses: blue cheese, brie, and chedar that were served with bread and fresh fruits. While the meat platter contained of different types of preserved meat: rabbit and pork terrine, ham, smoked meat, salami, and pate with fresh fruits and pickles on the side. It might be because we were hungry that the food tasted good. 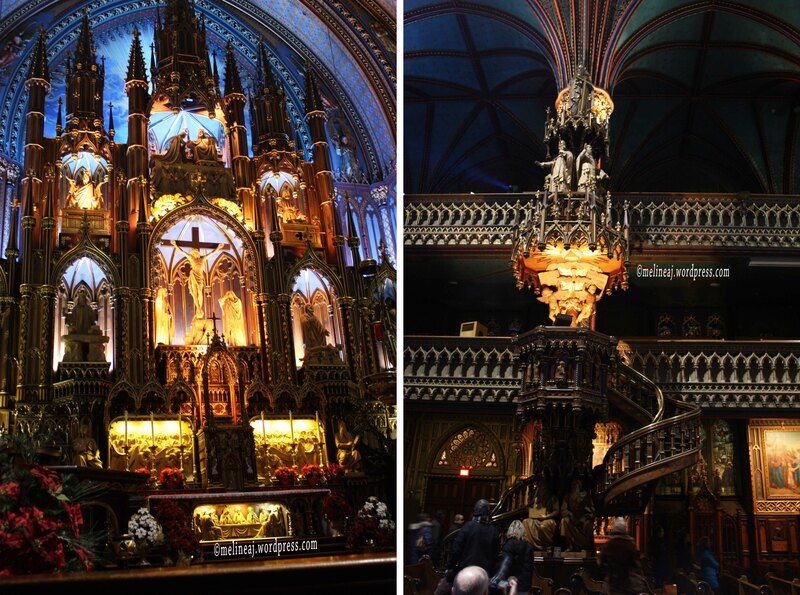 From our research the night before, the Notre-Dame Basilica of Montreal had a light show at 6.30 pm and 8.30 pm. We went there directly in hope that we could catch the 6.30 pm show. We lined up for about 10 minutes and just when we were at the cashier, she said that the ticket was sold out. So, we bought the next show. I, especially, really wanted to see inside the church since it was beautiful from the outside and from our experience the days before, the churches in Montreal are super beautiful. While waiting for the show, we saw a cute cupcake shop, Les Glaceurs, nearby, so we entered and bought a red velvet cupcake. Since the shop was about to close, we went to some tourist shops around to warm our body – yes, it was still chilly that day. The show is called “And there was light. Sound and light show.” It’s a regular show inside the church and the ticket was $10 per person. To avoid sold out ticket, you can buy it in advance – service fee applied. While entering the church, we were handed a hearing devices to translate the monologue into English/ Chinese/ other languages. After we were seating on our designated seat, we could see a big screen hung in the middle of the church and surrounded with small triangles squares on the ceiling and sides – I didn’t know it was the middle since it was dark! The show began with a monologue by the church architect, François Baillairgé, played by an actor. He then told us story about the process of building the Notre-Dame that intertwined with Montreal’s first settlers history. The screens fell one by one following the story and the big reveal was when the big screen at the front fell to reveal the true beauty of the altar! By the end of the show, we were given about 20-30 minutes to explore and take pictures – which didn’t suffice at all since there were lots of people who also wanted to take pictures. Anyway, we enjoyed the show and the church too! The stunning altar & detail ornaments! It was an early night for us since we were super tired and cold! We went to sleep early to prepare for our adventure the following day. 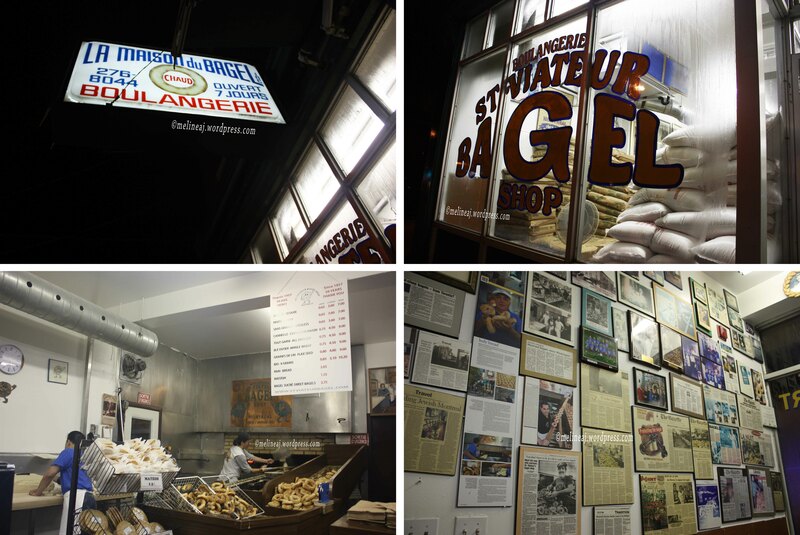 1 Response to "Montreal – day 3"